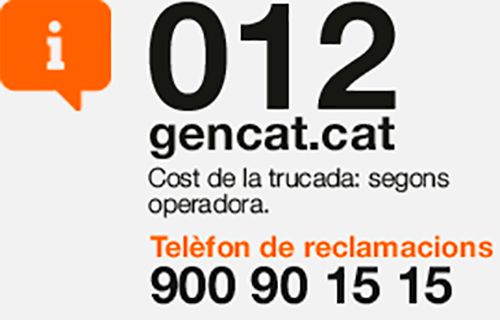 This area describes the regulations govern Ferrocarrils de la Generalitat de Catalunya when contracting operations, supplies and services. FGC is a public company operating in the fields of transport, tourism and mountain-related activities. Its purpose is to contribute towards the improvement of transport and leisure in Catalunya. FGC manages the resources assigned to it or generated by its activity on the basis of criteria of efficacy, respect for the law and optimization of its economic and social profitability. Within this context, FGC’s system of contracting works, supplies and services is adapted to its needs and is fully compliant with current regulations, which in addition guarantee professionalism and fair and equal treatment for its suppliers and users. This page provides companies and all users with the applicable regulations in relation to current contracts, bids and contract awards. For this reason, FGC has created a series of instructions for contracting that serve as an addition to the current law, thus configuring a dynamic and flexible contracts system that completely respects the principles of publicity, competition, transparency, confidentiality, equality and non-discrimination. As Law 31/07 is a sector-based regulation centred on railway transport, it is only applied by FGC in contracts that are included in it on account of their value and object. The law specifies procedures similar to the ones envisaged by the public sector regulation, particularly those related to harmonised contracts. In addition, FGC has other regulations in force to establish a direct link between the company and the contracting of works, supplies and services, such as those related to health and safety at work and coordination of works. FGC also makes use of other contractual mechanisms created by the Generalitat de Catalunya, as are the Electronic Registry of Bidding Companies (RELI) and the Advisory Board Company Classification, which in future will both be complemented by multimedia applications such as the Public Contracting Services Platform of the Generalitat. Here, FGC provides suppliers and all users with contracts, tenders and contract awards currently in progress. Public contract tenders presented by FGC under the scope of Law 31/2007 on the Hiring Procedure in the Water, Energy, Transport and Postal Services, can be performed via an ordinary advertisement, an indicative periodic advertisement or via an advertisement on the existence of a classification system. In order to fulfill public tendering requirements via a classification system, FGC is part of the ProTRANS Suppliers Register. The register is a tool which allows for updated, objective, non-discriminatory and efficient registration of all suppliers and contractors. 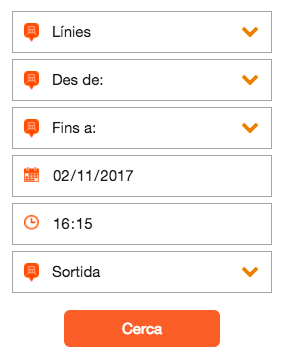 Railway companies that are currently part of the ProTRANS Register of Suppliers are ‘Ferrocarrils de la Generalitat de Catalunya’, ‘Empresa Municipal de Transportes de Madrid, S.A.’, ‘Eusko Trenbideak, Ferrocarriles Vascos, S.A.’, ‘Euskal Trenbide Sarea, S.A.’, ‘Ferrocarril Metropolità de Barcelona, S.A.’, ‘Ferrocarrils de la Generalitat Valenciana’, ‘Metro Bilbao, S.A.’, ‘Metro de Madrid, S.A.’, ‘Metro de Màlaga, S.A.’, ‘Metropolitano de Tenerife, S.A.’, ‘Transports de Barcelona, S.A.’, ‘Transportes Urbanos de Sevilla, S.A.M.’ and ‘Ferrocarril de Sóller S.A.’. FGC can use the ProTRANS Suppliers Register as a tool to assist in the selection of suppliers, who will furtherly be invited to present their bids subject to Law 31/07. All ProTRANS registered companies are exempt from presenting the corresponding administrative documentation when submitting their bids. The Suppliers Register was created on the basis of the companies’ main characteristics and, more specifically, on their human, material, financial and technical assets in relation to the types of products or services that are required. On a yearly basis, FGC publishes a notice acknowledging the existence of this classification system and inviting all interested parties to present all information required in order for them to enter the register. Nevertheless, the register is permanently open to any interested supplier. In conformity with regulations, FGC gives publicity to instructions for contracting which regulate the procedures referring to the award of contracts which are not governed by harmonized regulation. These amounts, which correspond to the estimated value of the contract, will be automatically updated according to amounts established by the European Union for harmonized contracts. The contracting system envisaged by FGC establishes that further documents and formalities should be progressively incorporated as the value of the contract increases. This progressive incorporation allows for additional general and contract-specific documents to be introduced. For this reason, contracting instructions establish the systematic use of some of the documents referred to at the end of this page. Particular administrative clauses dossier (specific to each contract and available at the Bids and Tenders tab. On the public contract service platform you can access the “Meeting Point” aimed at contractors to encourage collaborative purchasing, where details of other companies who have stated an interest in tendering can be found. The FGC Co-ordination of Business Activities protocol requires that any external company that has to work on our premises must be registered and up-to-date on the Internal Register of companies in Occupational Risk Prevention. These are essential conditions for the awardee companies to be able to carry out any contracted work awarded to it. As well as including the company on the Register, for each job awarded FGC will establish a specific co-ordination which will depend on the activity to be carried out and the workplace where it is to be done. The Manual informs of the risks identified at each site and the preventive measures applicable to them. Downloading the Certificate of registration where the company certifies compliance with the obligations required by the co-ordination of activities. Once completed and signed by the company’s legal representative, this certificate is to be returned to FGC at the address indicated. A copy of the documentation attesting to the capacity of legal representation and of the signatory’s National Identity Document must also be sent. The certificate must be received by FGC before the work starts. Once completed and signed by the company’s legal representative, this certificate is to be returned to FGC at the address indicated, accompanied, if necessary, by the additional documentation indicating on the form. 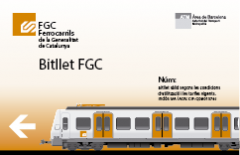 The company Ferrocarrils de la Generalitat de Catalunya (FGC) runs a public service in the general interest which is essential to the community. It also contributes to mobility and wealth creation. With the aim of managing the services and infrastructures assigned to it efficiently and effectively, FGC adds to the value of its services through quality, safety, regularity and comfort. Safety is the primary general responsibility for the efficiency of the service and its perception by customers is a priority. In this context, FGC sees civic behaviour on all its transport facilities as a priority. It will implement policies with a view to its customers, its employees, its suppliers, other interested parties and society in general, to ensure civic behaviour at all times as well as constant improvement in its service and running. Minimising the negative effects and undesired consequences that might arise from any antisocial behaviour. Fostering planning and prevention as approaches in preference to reducing antisocial behaviour, endeavouring to go beyond legal minimum requirements. Promoting ethical values, respect for others and the foundations that sustain these including social norms, traditions and customs. Ensuring that employees are a model of behaviour and use of facilities. Acting against indifference in the face of antisocial behaviour by fostering positive behaviour, attitudes and habits that impede such antisocial behaviour. Continuing to promote quality and civic behaviour in our facilities and services, primarily on the basis of an orientation towards the customer, innovation, professionalism and constant improvement in our processes. Keeping channels of communication open with social and education systems, with the security services and with the media, to ensure direct contact with current realities. 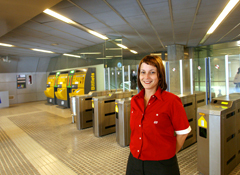 Building up relationships between public transport operators, especially those that work intermodally. Within this sphere, encouraging reflection and analysis with a view to future designs for facilities, trains and other equipment and research by manufacturers, and seeking the involvement of industrial sectors. Adherence to the FGC project to cut antisocial behaviour will be obligatory for all companies entering into contracts or taking orders from FGC either directly or through third parties, and will involve meeting a set of ‘commitments’ which will form part of the obligations entered into between contractors and FGC. These commitments will consist specifically of the clauses in the pertinent documents. To achieve maximum diffusion and effectiveness for the project, adherence to ‘cutting antisocial behaviour’ and meeting the commitments arising from this will also be obligatory for subcontractors working on railway facilities but not hired directly by FGC. 1. Contractors and subcontractors must agree to the obligatory nature of the commitment when they sign the contract (whether directly or through third parties), or when FGC places an order with them. The relevant clause will be in the current ‘Contractor Profile’ section, under the ‘Contract Instruction’ tab, in the document ‘General Contract Conditions’. 2. The document ‘adherence by Contractors’ can be found in the ‘Documentation’ section of this block on ‘Civic Behaviour at FGC’. This document outlines the specific procedures to be followed by both management and employees of contractors in order to meet their commitments. The company’s management must publicise the principles of the project adequately among their workforce, and must ensure that their employees follow the instructions and procedures laid down in the area of civic behaviour at FGC. As well as adhering to an attitude of civic behaviour at all times, contractors’ employees must notify FGC – by the means specified – of any antisocial behaviour they might observe while performing their tasks on railway facilities.